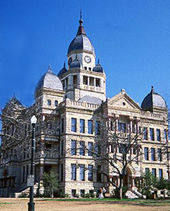 The Law Offices of Gary Kollmeier offers services to north Texas, including the cities of Denton, Dallas, Lewisville, McKinney, Flower Mound, Plano, Allen, Argyle, Aubrey, Lake Dallas, Hickory Creek, DISH, Corinth, Carrollton, Coppell, Providence Village, Savannah, Lantana, Canyon Creek, Sanger, Krum, Ponder, Justin, Pilot Point, Crossroads, Oak Point, Little Elm, Lantana, Celina, Frisco, Roanoke, Valley View, Paloma Creek, Cross Roads, Krugerville, Canyon Creek, Plano, and The Colony. Gary completed his undergraduate education in 1979 at the University of Texas at Arlington and graduated from Southern Methodist's Dedman School of Law in 1990. He is Board Certified in Family Law by the Texas Board of Legal Specialization and has continued extensive training in Mediation and Collaborative Law. Gary has been an active member in many State and local associations and has published works with the State Bar of Texas and the Denton County Bar Association. 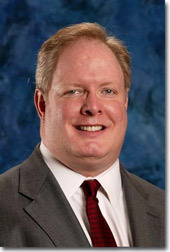 Gary Kollmeier was admitted to the Texas State Bar in 1991 and to the U.S. District Court Eastern and Northern Districts in 1992. Read More --a further list of Gary Kollmeier's credentials.